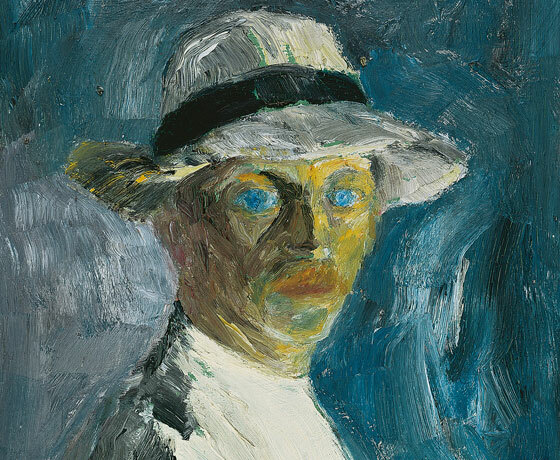 Emil Nolde is undisputedly one of the best-known artists of the 20th century. Right from the beginning he proved to be a master of colour, knowing how to play with its diverse expressive possibilities. Even among colour-loving Expressionists, Nolde stood out with the radical character and radiance of his colouration. With his powerfully colourful virtuosity not only did he value his watercolours as much as oil paintings in his own work, but he also won back the societal esteem this technique had lost. Like many other Expressionists, Nolde also strove to find unity between art and life. Yet unlike many others he succeeded in this, living with Ada in the residential and studio house he designed, surrounded by their self-made ceramics and textiles, and the carefully laid-out artist’s garden. To this day his painterly colouration and pictorial worlds inspire contemporary artists. And to this day, Nolde delights everybody with his expressive and joyfully colourful paintings, watercolours, prints, sculptures, ceramics and crafts.